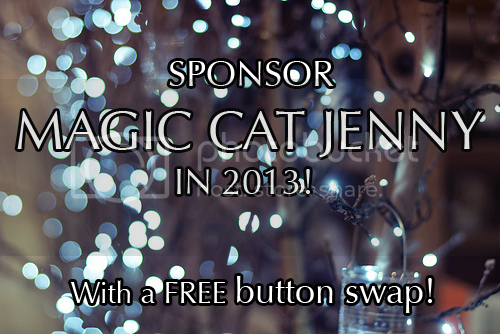 MagicCatJenny: Sponsor Magic Cat Jenny in 2013! Sponsor Magic Cat Jenny in 2013! Happy New Year!!! Almost...tomorrow is officially 2013! 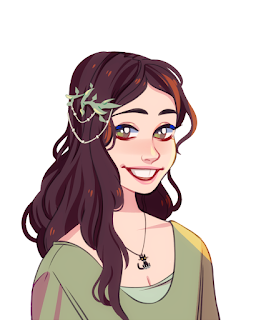 this year I am really amping up my blog and I would love it you were here with me. I made the switch over to Passionfruit ads, but don't worry, there are still free ad swaps. The ads run for 30 days and the code for a free Large ad button swap is "ADSWAP" Just let me know if you have the same system for ad swapping or if I should email you a particular size ad. I am also offering 2 'Feature' slots for $4 a piece. I know I am still a n00b in the blogging world, but I do have some followers on YouTube. I do plan to vlog about my blog this year. (too meta?) That includes mentioning those 'Feature' blogs. Everything you need to know is on my sponsor page but feel free to email me if you have any questions. Thank you so much and lets make 2013 amazing!